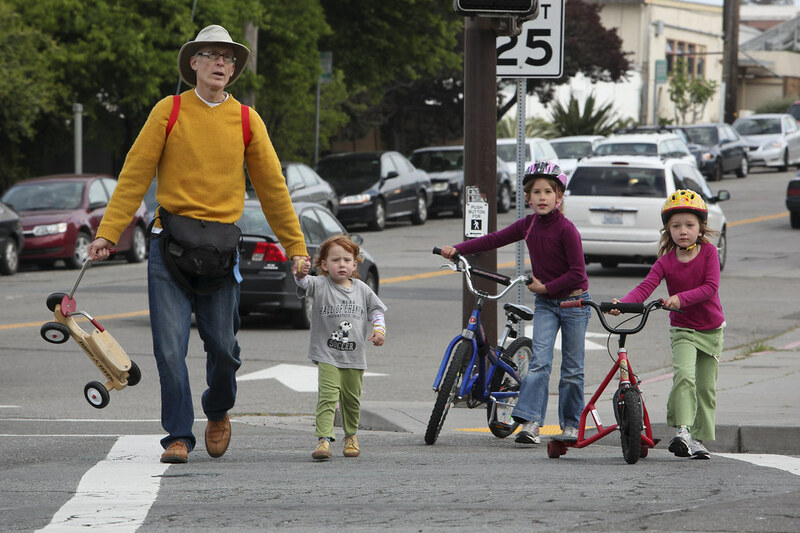 The budget proposed yesterday by Governor Jerry Brown and state lawmakers includes a new “Active Transportation Program” that would increase overall funding for walking and biking improvements but may put California’s Safe Routes to Schools program at risk. Under the proposed ATP, currently separate funding streams would be consolidated into one larger program, increasing the overall pot of bike/ped funds from $100 million to $134 million. Details on how that money will be doled out have yet to be defined, however, and unless SRTS is guaranteed at least the same amount of funding it currently receives — $46 million — the SRTS Partnership won’t support the ATP, said Jeanie Ward-Waller, the organization’s California advocacy organizer. In order for AB-1194 to come off suspense, the Appropriations Committee struck a line from the bill that would ensure $46 million (level funding from state and federal sources) be guaranteed for future years for Safe Routes to School. Instead, level funding for the program will have to be approved through the state budget process each year. Though the amendment removing the $46M guarantee makes more work for advocates in future years, the bill still effectively simplifies and continues the structure of the program. Governor Brown and the state legislature must approve a state budget by Saturday, June 15, and it would go into effect on July 1. But AB 1194 isn’t expected to pass the Senate and go to the Governor’s desk until September, and during that time, Ward-Waller said lawmakers decided to put ATP funds on hold while an agreement regarding their use is worked out. Although advocates will have a challenge in ensuring the SRTS program isn’t shorted, California Bicycle Coalition Executive Director Dave Snyder said the ATP will be an overall positive step toward increase walking and biking funding in the state, as well as creating a more efficient and centralized program to move projects forward.